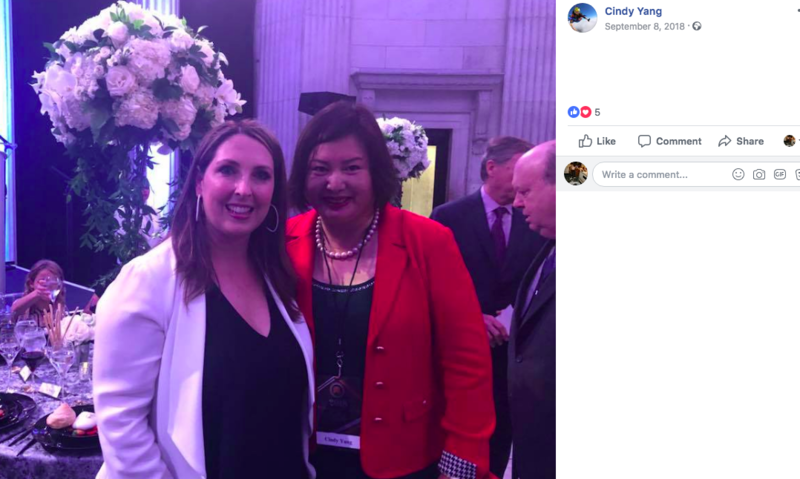 She’s posted numerous photos with the president and prominent Republicans. One day after New England Patriots owner Robert Kraft was charged with soliciting prostitution at a Florida spa last month, President Donald Trump expressed shock at the news. “He’s proclaimed his innocence totally, but I was very surprised to see it,” Trump told reporters. 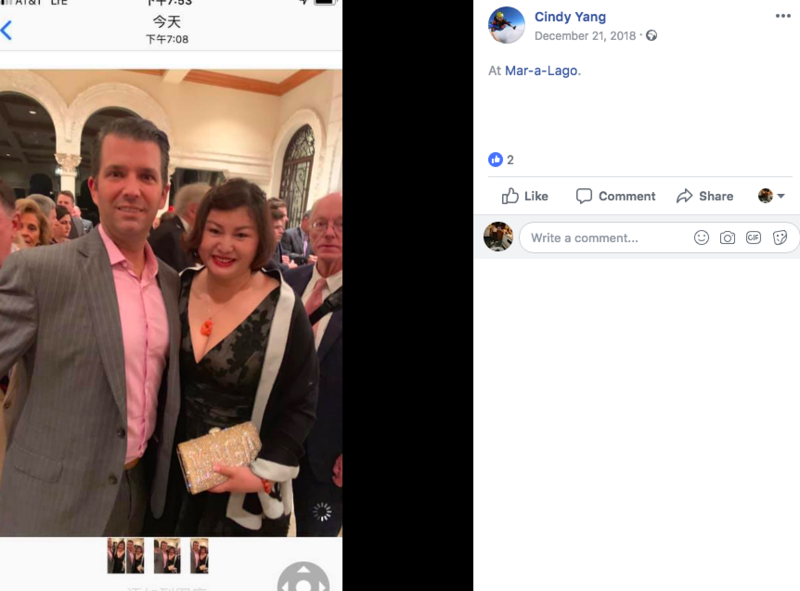 But newly uncovered photos suggest that the president—like a string of prominent Republicans—is more familiar with one component of the scandal than previously known: the founder of the spa chain where Kraft was busted, Cindy Yang. 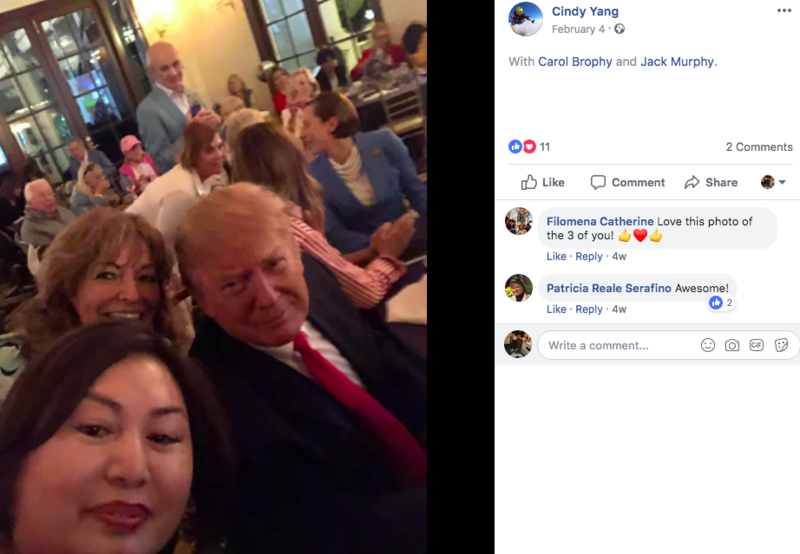 The Miami Herald reports that Yang has visited Trump’s White House and is a member of his Mar-a-Lago club in Florida. She has also donated tens of thousands of dollars to Republican candidates. 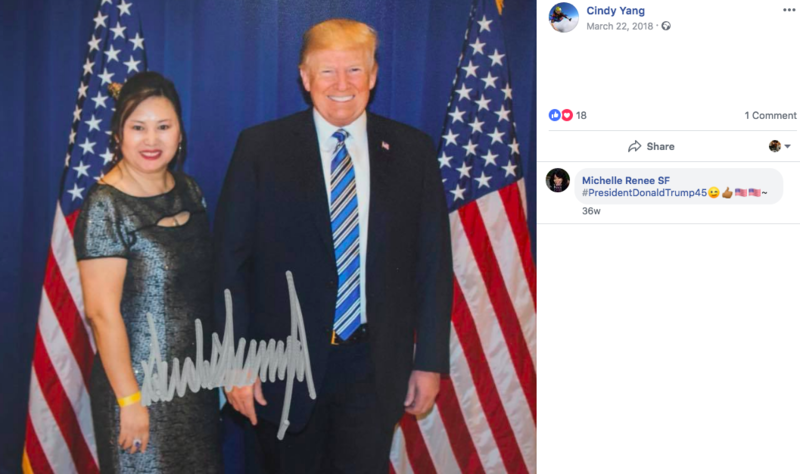 A Mother Jones review of Yang’s Facebook profile reveals a slew of photos taken with the president and his family, including one at a Super Bowl party this January, when the Patriots won their sixth championship. 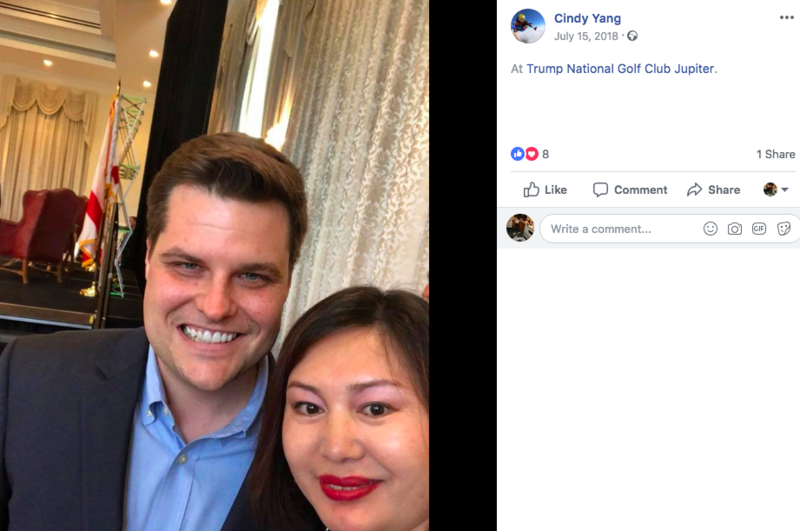 Others show Yang posing with several big-name Republicans, including Rep. Matt Gaetz of Florida, Republican National Committee Chair Ronna McDaniel, Florida Gov. 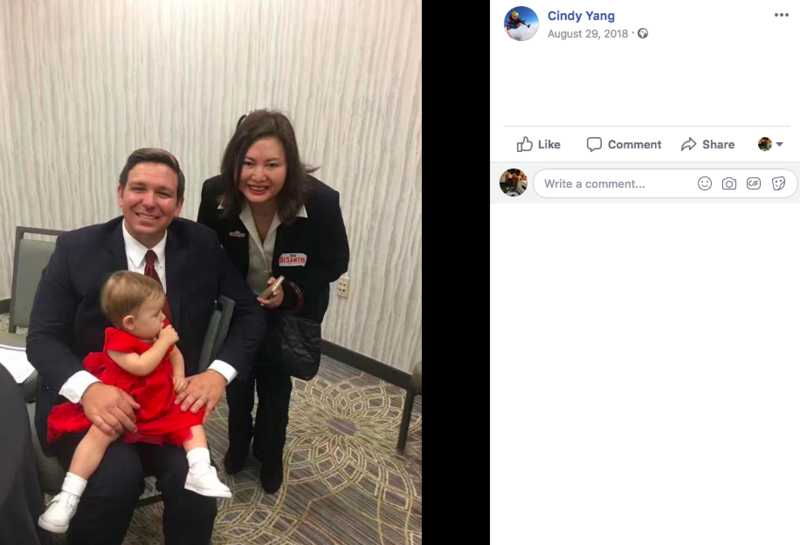 Ron DeSantis, and former Alaska Gov. 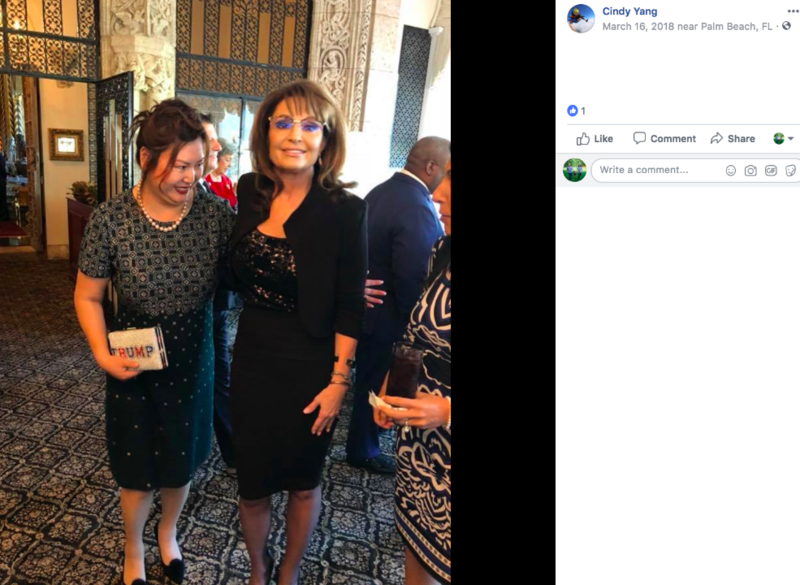 Sarah Palin. Yang told the Herald that she gave up ownership of the spas years ago. She has not been charged in the ongoing criminal investigation.